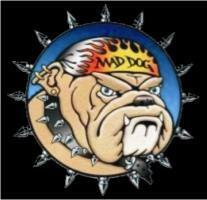 At Maddog Silver our mission is simple, To provide you with the absolute best Custom Jewelry and products available, at the best price possible, while also providing the best online shopping experience we can. Custom Jewelry Design and Casting of Fine Jewelry in Sterling Silver and Gold, utilizing the latest in Cad/Cam Design and Lost Wax Casting technology. In house Jewelry Repair for Sterling Silver and Gold Jewelry. In House Custom Leather Sewing, Alteration and Repair and Patch Sewing. A large selection of Gemstone Jewelry, Stainless Steel Jewelry and Body Jewelry. A large selection of Biker Leather and Accessories. A large selection of Veteran, Biker, & Christian Patches. So if you are looking for a Custom one of a kind piece of Jewelry, A Custom Designed Ring or Pendant for your MC or other organization, Leather Sewing, or just a great deal on some of the best products available, Browse our website, or come on in to our Shop in Shreveport, La. We look forward to the opportunity to serve you!